There will be times when someone in our family faces a medical crisis. This stressful time is filled with chaos and questions. 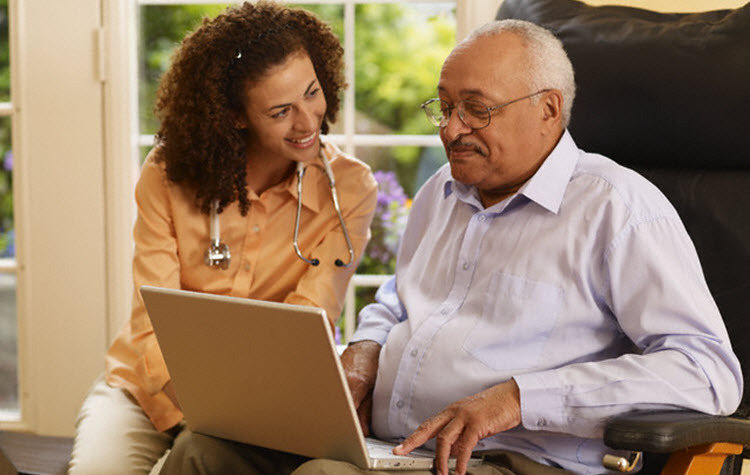 It is important for a family to stay connected and to be able to effectively communicate with loved ones medical updates without overwhelming the medical staff. However, without the correct form of communication, this is time consuming and puts private information at risk. For caregivers, there may be multiple people with whom you need to communicate in a quick and simple fashion, without risking loss of privacy. The GISHC Careshare App allows family members to stay connected in a time of crisis. Family members can share medical updates, test results, photographs, well wishes and doctor's comments in a secure and private format. Through the Careshare App, you can communicate effectively to multiple people, allowing you to be right where you need to be in a time of crisis. The Careshare App also allows you the ability to use the Caregiver App through GISHC, which can be there to assist you and your loved one in multiple ways. Being a caregiver can be stressful, so let GISHC share the load. When a loved one is in a time of crisis the last thing you want to do is spend time calling or texting multiple groups of people. The Careshare App allows you to be focused on your family member and makes communication easy. You can create groups to share information with and when the time arises the Careshare App will alert the group of a crisis and provide a simple, secure vehicle for updates. Communication about medical information can be tricky, especially in a group environment. Medical information is private and sensitive information that doesn't need to be shared without permission. The GISHC Careshare App keeps the information where you put it, lets you communicate in a closed environment, and keeps your communications safe and secure. With the Careshare App, you are able to send messages, pictures, medical test results, and doctor updates to a selected group of people all at once. Careshare is a mobile app and goes with you wherever you go. It is quick, easy, and effective. Careshare relieves the stress of communication in the time of crisis. The Careshare App allows you to connect to the Caregiver App. This app can be used daily to keep important caregiver information secure as well as offer a wealth of resources, including advocacy response at the touch of a button. Communicate with loved ones in a safe and private app. Communicate with multiple people at once. Connect to Caregiver to find resources in your time of crisis. Alert Family Members quickly when a crisis arises.